Cebu Pacific Air, the Philippines' leading low-cost airline has received more entitlements for international flights from the Philippines. The approval was received in a meeting with the Civil Aeronautics Board. The decision includes seven new weekly flights to any point in the United Arab Emirates and flights from the Philippines to Taipei and Kaohsiung in Taiwan. It also permits flights from Manila to key cities in Russia. Cebu Pacific currently flies seven flights weekly to Dubai, United Arab Emirates. Load factors continue to improve in the market as the route now matures being the first long haul destination of Cebu Pacific launched on October 2013. Meanwhile, the airline's request for flights from Caticlan, Clark, Davao, Puerto Princesa and Tagbilaran to Taipei has been approved together with flights from Caticlan and Cebu to Kaohsiung in Taiwan. 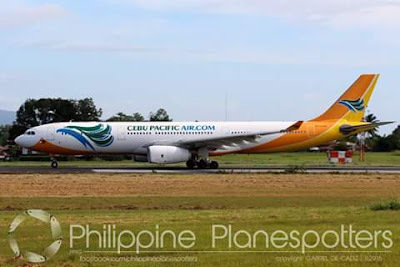 Cebu Pacific flies from Manila to Taipei ten times weekly while Cebu to Taipei operates thrice weekly. Cebu Pacific has been designated as the official Philippine carrier to Russia with the approval of three weekly flights from Manila to Moscow and Vladivostok. Rival Philippine Airlines currently operates chartered flights from Manila to Vladivostok and from Kalibo to Khabarovsk. The airline was also appointed as the official carrier under the ASEAN Multilateral Agreement on Air Services. Upon completing the ratification of the protocols by the MAAS, Cebu Pacific will be able to operate unlimited flights to capital cities in the ASEAN region. Cebu Pacific now offers 90 routes to over 60 destinations. The low-cost airline recently launched flights from Manila to Fukuoka, from Cebu to Taipei, and from Davao to Singapore on December 17, 2015 using its brand new Airbus A320-200 aircraft.